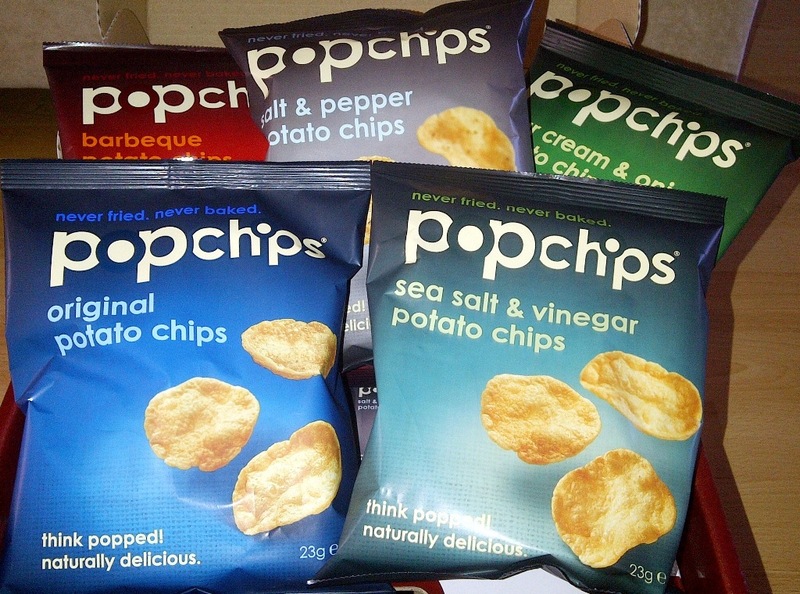 I am not a huge snack person but every so often hunger pangs may strike and I just fancy a little something that tastes good and isn't too bad on the old waistline, I think I have found a product that fulfills the brief..
Popchips! I first came across these in a She Said Beauty press bag and have to say they tasted good. You say crisp. we say chip.we all say delicious. Never fried. never baked. our potato chips are popped (like popcorn). with all the flavour and less than half the fat of fried crisps and less than 100 calories per serving. Our naturally delicious pledge: no fake colours, no fake flavours, no preservatives, no fluorescent orange fingertips We only use ingredients you can feel good about eating and we leave out the bad stuff like hydrogenated oils and msg. The flavours I liked the best were - Original, Barbeque and Salt & Pepper. Original is like ready salted but so much tastier as it is made with sea salt. Very flavoursome. Barbeque is deliciously spicy and moreish. Salt & Pepper was a winner with all the family. It had an intensely peppery taste. Yum. Sea Salt & Vinegar was ok but I am not a huge fan of vinegar. I love the fact that the packet tells you how many Popchips it contains - there are about 18 or so in a packet which may not be enough for some but I find it ideal as a healthy, tasty low cal snack treat. Have you tried Popchips yet? I love these too! Bbq definitely my fave although I do like the sour cream ones, sounds like you just got a bad batch to me, maybe?! Mmmm, really want some now! !